Do you provide service to areas outside of San Antonio? Of course! Check out our service area page for more information. We're able to service a large area that extends well beyond San Antonio. We go where ever you wish to travel in the great state of Texas just so long as your extraordinary travels are worked out logistically with us beforehand and that you're pick up and return are within our usual boundaries of service. Are we permitted to smoke on your vehicles? Unfortunately, we don't allow for smoking on any of our vehicles, but we'll be glad to make unlimited pit stops for you and your friends for any reason. Simply let your driver know. We like to drink. Can we drink on your limousine? As long as you're 21 and older, you're certainly allowed to drink on our limousines. We can not provide you with alcohol and no alcohol can be brought on-board if any of the guests are underage. Are we able to play our own music? Certainly! That's what the MP3/iPod capable stereo systems are for. You'll be able to play all of your favorite music! What type of features come with a limousine? Our limousines have lovely neon lighting, bar areas that come stocked with ice, MP3 capable sound systems, newly installed wooden flooring, comfortable leather seating, tinted windows, and more. What do people usually use limousines for? Our customers have used our limousines for a variety of purposes, but the most popular seem to be weddings, bachelor and bachelorette parties, bar hopping, as well as school dances. We accept all major credit cards, and your down payment must be placed via credit card. Any overage fees you may opt to incur are payable in cash at the end of your trip. Absolutely, we just ask that you remember that per our rental agreement you may be charged an excessive clean up and/or damage fee if your party causes more than reasonable damage to the vehicle. You will want to avoid messy foods, and foods that use dye such as frosting. 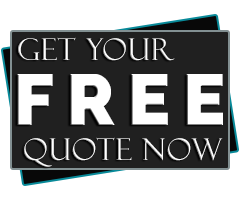 Let us know the following information for a fast, accurate quote. Are you planning a specific event? Which date and time do you need service? How many passengers are you accommodating?